Hayes Valley is a "walker's paradise," a "biker's paradise," and has excellent transit, according to Walk Score's rating system. But what does the low-end pricing on a rental in Hayes Valley look like these days--and what might you get for the price? We looked at listings for studios and one-bedroom apartments in Hayes Valley via rental site Zumper to see what budget-minded apartment seekers can expect to find. Listed at $1,525/month, this 180-square-foot studio condo located at 539 Octavia St., #8 costs one-third less than the $2,295/month median rent for a studio in Hayes Valley. In the unit, look for hardwood flooring and a kitchenette. Cats and dogs are not welcome. 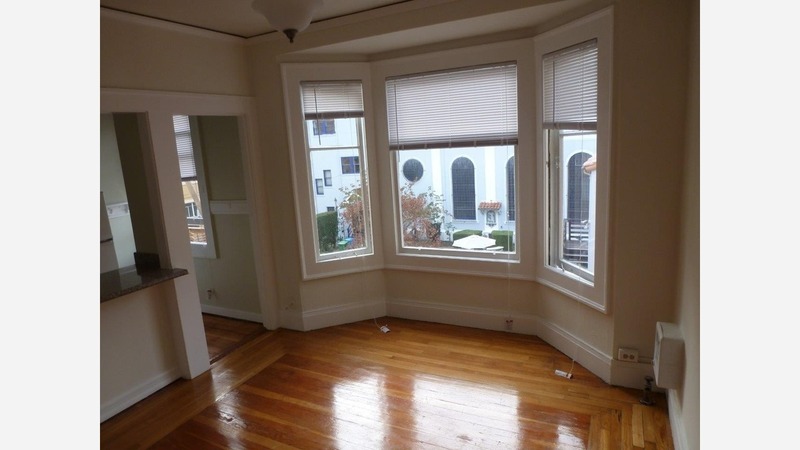 This studio at 700 Laguna St. is listed for $2,195/month. In the unit, anticipate carpeted floors and a walk-in closet. Building amenities include available assigned garage parking, on-site laundry and extra storage space, but pets are not welcome. Here's a studio apartment at 225 Fell St., which is going for $2,250/month. Amenities offered in the building include an elevator, on-site laundry and secured entry. In the unit, expect high ceilings, hardwood flooring, wooden cabinetry, a bow window and a walk-in closet. Pets are not welcome. Then there's this apartment with one bedroom and 1 1/2 bathrooms at 152 Lily St., #1, listed at $3,200/month. In the unit, look for hardwood flooring, a dishwasher, wooden cabinetry, stainless steel appliances, high ceilings and a bow window. Amenities offered in the building include on-site laundry, secured entry and extra storage space. Pets are not allowed.